Ausitn, TX – 12/28/16 – FastMed Urgent Care is now welcoming patients at its newest clinic in Austin, Texas. Located at the intersection of Lamar and W. 34th Street, next to P. Terry’s and near Seton Medical Center, the newest FastMed walk-in clinic marks the urgent care owner and operator’s 20th Texas location. FastMed’s quickly growing presence in the state, marked by its plans to open another 10 Texas clinics within the next six months, makes it the fastest-growing urgent care provider in the nation. FastMed Urgent Care currently owns and operates more than 100 clinics throughout Texas, Arizona, and North Carolina. The newest FastMed clinic will offer urgent care for non-emergency illnesses and injuries, such as colds, flu, viruses, asthma and other respiratory concerns, allergic reactions, sprains, strains, and fractures, as well as a wide range of additional services. Austin’s Lamar location provides care for all ages in a comfortable, family-friendly environment. FastMed accepts all major insurance, credit cards, and personal checks. Walk-ins are welcome, with online check-in available. 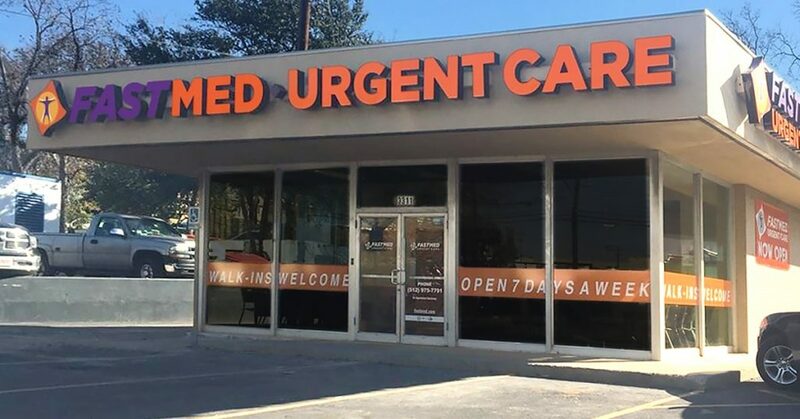 FastMed Urgent Care owns and operates more than 100 locations across Arizona, North Carolina and Texas, providing a broad range of acute/episodic and preventive healthcare services 365 days per year. FastMed also provides workers’ compensation services at all of its clinics, and family and sports medicine services at select locations. FastMed has successfully treated more than 5.8 million patients since the opening of its first clinic in 2005, and is the largest urgent care operator to be awarded the Joint Commission Gold Seal of Approval® for accreditation in healthcare quality and safety in ambulatory healthcare. For more information about locations, services, hours of operation, insurance and prices, visit www.FastMed.com.